With employees working in the field, field services and construction organizations need to know all of their options when it comes to mileage/kilometer tracking. Because their workers are mostly mobile, the right tools can help field services organizations to make significant cuts to their costs when it comes to keeping track of how far workers are traveling for the job. 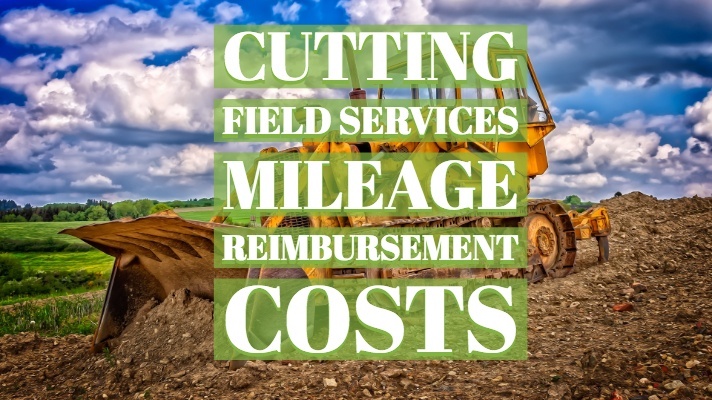 What some field services organizations might not know, however, is that mileage reimbursement can a major source of wasted funds. When employees log their time, they might be doing some over-estimating, either on accident or not. This over estimation can be small enough, perhaps rounding up from 1.5 miles to 2 miles. However, if this is a route taken daily, that can be an extra 0.5 miles each way per day, up to 5 extra miles per week, 20 extra miles per month, 200 or more miles per year. If you’re providing reimbursement 200 extra miles per year for more than a few employees and that can add up to a whole lot of over-reimbursement. Google Maps integrations: Google Maps is a universal tool with which employees are likely to be familiar. This integration should make it easy to input the start and stop address to come up with the most accurate mileage calculation, down to a tenth of a mile. Mobile apps: Providing employees with the right tools increases their work satisfaction, which is why a mileage tracking tool needs to be mobile when you have a mobile workforce. Software that requires little to no training: Mileage reimbursements are part of expense reporting, so the expense report system should be easy to navigate and submit, easy enough that employees can intuit what they need to do to submit their expense reports. Audit trails: The best field services expense report software will also come with tools for reporting and auditing. These tools can be used to specifically trace mileage logs to see if over-estimation has occurred. Accounting integrations: Being able to send data between your expense report system and your billing and accounting systems is essential. The point is to reduce the workload, not make reimbursing your employees more difficult even if the data is more accurate. In the end, it can be a wise use of time to investigate the best field services expense report software to end your mileage tracking woes. Cut costs and streamline your processes with DATABASICS’ mileage tracking tools.